The Hotel du Lac (Famille Huber) was a stolid and dignified building, a house of repute, a traditional establishment, used to welcoming the prudent, the well-to-do, the retired, the self-effacing, the respect patrons of an earlier era of tourism. Our protagonist, Edith Hope, is an English romance author who has come to Switzerland, to the silent, out of fashion, and nearly empty Hotel du Lac to hide away from her life for a while. At first, we don't know what made Edith decide to disappear for some time – or even who exactly decided that she should. We only know that whatever happened seems to have to do with David, a lover or ex-lover to whom she composes letters she never sends. During her time at the Hotel du Lac, Edith learns the stories of her fellow guests: Mrs Pusey and her daughter Jennifer, Monica, Mme de Bonneuil, and Mr Phillip Neville. Edith’s observations, as well as her insights about her own life, are what is at the heart of Hotel du Lac. I’m not quite sure why, but I in my head I've always linked Anita Brookner and Anne Tyler. You might recalls that recently I read Tyler’s Breathing Lessons, and confessed that I had been hesitant about picking it up for a while. I was hesitant about Hotel du Lac for similar reasons. But while Breathing Lessons won me over, unfortunately Hotel du Lac never quite clicked with me. I’m really not sure why. It shouldn't be because I couldn’t quite identify with any of the characters, as one of my favourite things about literature is that it lets me inhabit the skin or see through the eyes of people who are completely different from myself. And i’s not because it’s slow-paced and quiet and subtle either, because a lot of books I love are slow and quiet and subtle. I can’t tell you what was missing, what kept me from loving it, but something did. There were things I liked: I liked Edith’s quiet irony, I liked the beautiful writing, I liked that there were surprisingly funny moments. There were moments I found moving too. The book portrays the kind of loneliness, disappointment and restrained despair that normally go unremarked. Edith makes some uncomfortable observations about gender which I know are not to be taken at face value, and which are probably part of the ways in which she has changed by the end of the story. But all of this, like everything else in this book, happens very subtly. And the truth is that I’m not quite sure what to make of what Edith goes through, of what she wants, of what ultimately becomes of her distrust of other women. Perhaps I’ll return to Hotel du Lac some day, and perhaps then it will click. In the meantime, I invite you to read the reviews below, some of which are from readers who loved this book. Sorry it didn't quite click for you. It certainly does sound like an interesting premise though. I'll have a peek at some of the other reviews. I really like the cover-me and my dark covers lately. I never actually ever finished reading this one. I just didn't enjoy it from the beginning. Though it was quite a few years ago that I read it. I wonder if i should give it another go. Great review. Sometimes a book just doesn't work out. It's unfortunate that you didn't click with it. The premise of the book sounds really compelling. Thanks for the honest review! This has been on my TBR list for a while - I really like the idea of a book about a bunch of characters at a hotel. Now I sort of want to bump it up, to see if I have the same reaction as you did. This is on my TBR list - I'll have to read it just so that I can compare notes with you. Come by - I have an award for you. I'm sorry this book didn't click for you. It actually was one of my favorite reads a couple of years ago and it prompted me to go buy a bunch of Anita Brookner books but unfortunately I've only just read another. I do think she's got a way of writing about women's roles in society and especially when women don't follow a certain path in life. Anyway, hopefully your next read will be a great one! I think that was a very fair review, and I can see why you'd say that. I remember liking it, but I don't remember many details from it from last year either. I liked it while I read it, and then it was gone from my head. I'd like to give this book a try. Thanks for the review, Ana. Sometimes you can appreciate the good of a book without really getting it. :) Nice balanced review. 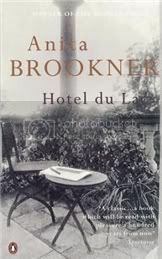 I have to admit that I've never read anything by Anita Brookner but I do believe I may have seen a dramatisation of Hotel Du Lac. Unfortunately I just can't remember whether I enjoyed it or not... And what a relief to read that Susan dislikes Virginia Woolf - I thought it was just me! Claire: Might be my least favourite too. Ah well...it has to happen sometimes. And you're welcome! Dar: I like dark covers too. I hope you enjoy it more than I did if you give it a chance! Debi: lol :P I don't know, you might like it. Even I might, at another time. But sadly at this time it made no lasting impression on me. Bermudaonion: Ah well...on to the next book! Marie: Yep...can't love them all. Lena: It IS a good premise, and the book is loved by many readers, so some do find it compelling...I wish I had too. Jenny, I look forward to seeing your take on it! Iliana: I will definitely give Anita Brookner another chance in the future. Hopefully the next one I try will work for me! 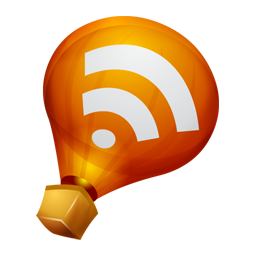 raidergirl3: To be honest I can see myself quickly forgetting all the details too. Amy: That was definitely the case her. I could admire the writing, but most of the time it did nothing for me. I've never even heard of this author until today. I do think the premise sounds interesting. Sometimes it clicks and sometimes not. If I were to see this at a library book sale I would probably pick it up and get to it when I could. Thanks for a thoughtful review Nymeth!! Awww, too bad you didn't like it. What you said here however applies to how I feel about Anne Tyler, hahaha! I'm sorry this one didn't work better for you, Nymeth. It has an interesting premise, although that isn't always enough. Staci: It can be really hard to pinpoint what makes a book work for us, as well as what makes it not work. I hope you have more luck with it than I did! Sorry you didn't love this one. I've had the same reaction to certain quiet books, that in the end are just too subtle and diffused to really engage me. I also feel that if I can't connect to a character in any way my enjoyment of the book really suffers. Great review! I sometimes feel that something is missing from a book that I'm reading, especially when others love it so much. I keep them on the shelf in hopes of someday returning and understanding a little better (or having a more positive reception). I've seen this one on lists, but never really sought it out. Guess I'll wait! Sorry you never connected with the story :( Not totally sure if I would enjoy this one myself. It's always sad when you don't connect with a story, especially when you can't quite put your finger on why. You read so many great books though it's about time you read one that didn't get everyone rushing out to buy it! Zibilee: Yes, I think that too diffuse was the problem here. It was too bad. Trish: It's really possible that at another time I might be able to connect with it. But then again, there are so many other books I want to read! Ladytink: Ah well..it happens sometimes. Rhinoa: lol :P But yes, it is sad. Hey some back ground colour on your pages- I had to squint to read....but overall I agree with you about Hotel Du Lac. it is slow moving, lacks action, has almost no plot. But some character studies are good. However, in spite of that I feel there is very little take-home from the book.